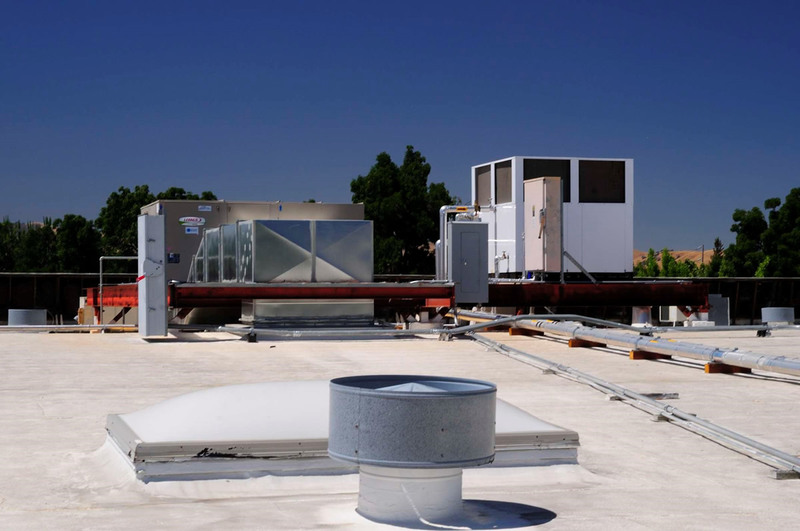 With 60+ years of combined leadership experience, Select Mechanical specializes in engineering, design, installation, service and repair of heating, cooling, ventilation and air-quality systems for whatever type of commercial building you may have. Variable Refrigerant Flow (VRF) is an HVAC technology invented in Japan in 1982. Like ductless mini splits, VRFs use refrigerant as the cooling and heating medium. This refrigerant is conditioned by a single outdoor condensing unit, and is circulated within the building to multiple fan-coil units (FCUs). 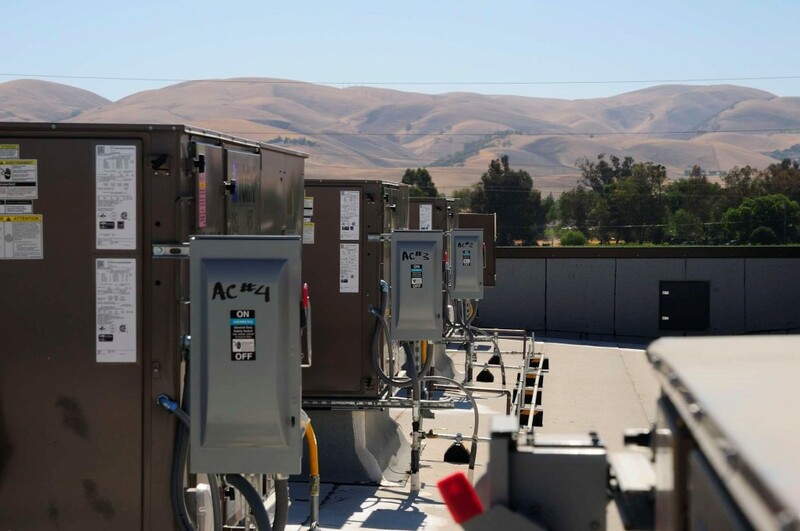 VRFs are typically installed with an Air conditioner inverter which adds a DC inverter to the compressor in order to support variable motor speed and thus variable refrigerant flow rather than simply on/off operation. By operating at varying speeds, VRF units work only at the needed rate allowing for substantial energy savings at partial-load conditions. 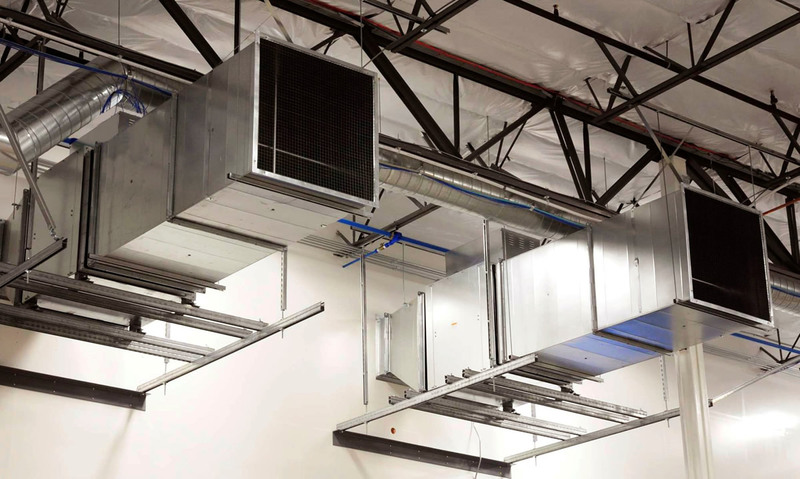 Heat recovery VRF technology allows individual indoor units to heat or cool as required, while the compressor load benefits from the internal heat recovery. Energy savings of up to 55% are predicted over comparable unitary equipment. This also results in greater control of the building’s interior temperature by the building’s occupants. Package Unit or Package System – A self-contained unit or system that has the Air Handler & Condenser in same unit. Normally placed outside the building (often on the roof) and connected to a duct system by a penetration through the building’s foundation. The Air Handler Unit is the inside part of the A/C system that contains the blower, cooling (evaporator) coil, and heater. It is the part of an HVAC system responsible for moving air, which may also clean, heat, or cool the air. This refers to equipment used to provide conditioned air to a space. The air handler unit generally includes a blower or fan, heating and/or cooling coils, and related equipment such as controls, condensate drain pans, and air filters. It doesn’t include ductwork, registers or grilles, or boilers and chillers.